Actress Known for Her Roles in "Legally Blonde," "Hellboy" & "American Crime Story: The People v. O.J. 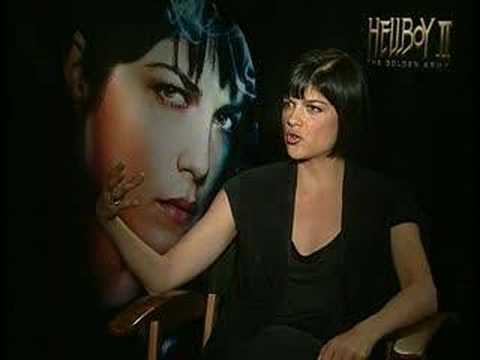 Simpson"
Selma Blair is an American film, television and theater actress. Since making her professional acting debut in 1995, she has starred in a variety of film genres, including blockbuster, indie, and art house films. Blair officially started her professional acting career in December 1995, in the Nickelodeon sitcom "The Adventures of Pete & Pete." Her early work consisted of numerous guest roles on television, brief appearances in mainstream films, and lead roles in unreleased projects, including the New Zealand fantasy film "Amazon High" (1997). Blair was considered to have a breakthrough with her role in the 1999 teen drama "Cruel Intentions." She achieved international fame as a result of her portrayal of the pyrokinetic heroine Liz Sherman in the fantasy films "Hellboy" (2004) and "Hellboy II: The Golden Army" (2008). Other notable films include "Legally Blonde" (2001), "The Sweetest Thing" (2002), "The Fog" (2005), "Purple Violets" (2007), "The Poker House" (2008), and "Columbus Circle" (2012). Blair also portrayed main roles on TV, in the 1990s in the role of Zoe in the teen sitcom "Zoe, Duncan, Jack and Jane," as Kim in the American remake of "Kath & Kim," and as Kate Wales during the first two seasons of the TV series "Anger Management." Blair narrated the Holocaust-related documentary "The Diary of Anne Frank." Her performance, for which she was nominated for a Grammy Award in 2011, drew positive reviews from critics. In 2016, Blair returned to television with the role of Kris Jenner in the FX miniseries "The People v. O. J. Simpson," the first season of the true crime anthology series, "American Crime Story," a companion spin-off to American Horror Story. In October 2018, Blair revealed that in August she had been diagnosed with multiple sclerosis. Selma Blair was reportedly removed from a Delta Airlines flight Monday following a strange outburst. Blair was returning from a weekend getaway in Mexico.